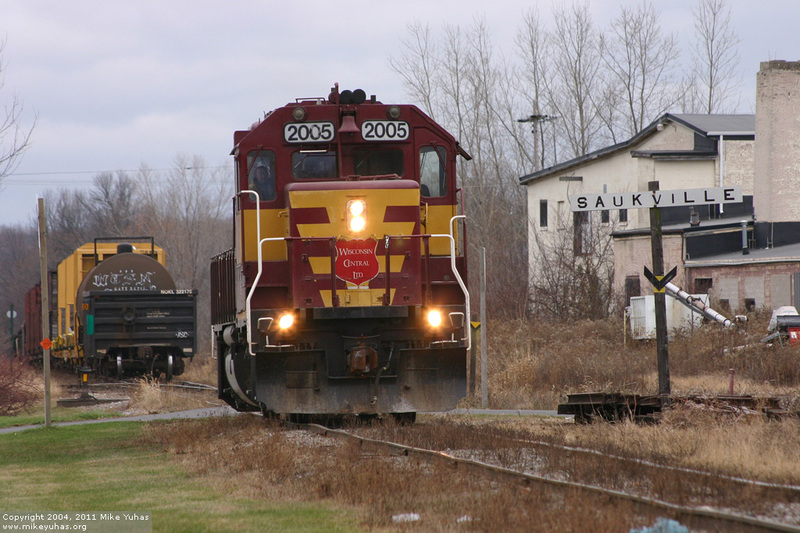 A light engine about to run around the train at Saukville, Wisconsin, on Canadian National's Plymouth Subdivision. This is local train L507, which often arrives the Saukville area around noon on weekdays. The train runs north beyond Saukville a couple days per week, though the writing's on the wall: As this photo is taken, CN is negotiating with Wisconsin DOT and Wisconsin & Southern to turn over the 37 mile portion of the branch between Saukville (a couple miles north of here) and Kiel.